This volume brings together a distinguished group of scholars working on Eastern Europe and the former Soviet Union to examine in depth three waves of democratic change that took place in eleven different former Communist nations. 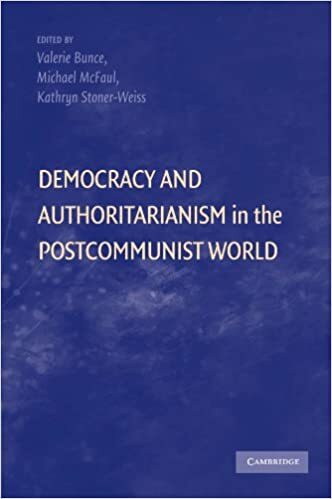 Its essays draw important conclusions about the rise, development, and breakdown of both democracy and dictatorship in each country and together provide a rich comparative perspective on the post-Communist world. The first democratic wave to sweep this region encompasses the rapid rise of democratic regimes from 1989 to 1992 from the ashes of Communism and Communist states. The second wave arose with accession to the European Union (from 2004 to 2007) and the third, with the electoral defeat of dictators (1996 to 2005) in Croatia, Serbia, Georgia, and Ukraine. Although these three waves took place in different countries and involved different strategies, they nonetheless shared several overarching commonalities. International factors played a role in all three waves, as did citizens demanding political change. Further, each wave revealed not just victorious democrats but also highly resourceful authoritarians. The authors of each chapter in this volume examine both internal and external dimensions of both democratic success and failure.